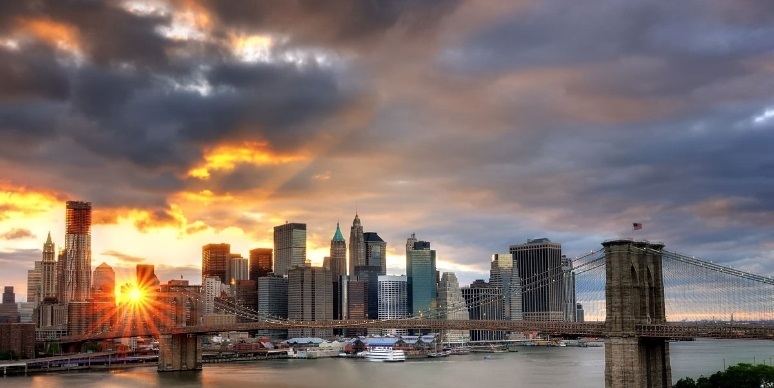 Here the best night clubs, a lot of restaurants, beautiful beaches, entertainment for every taste. 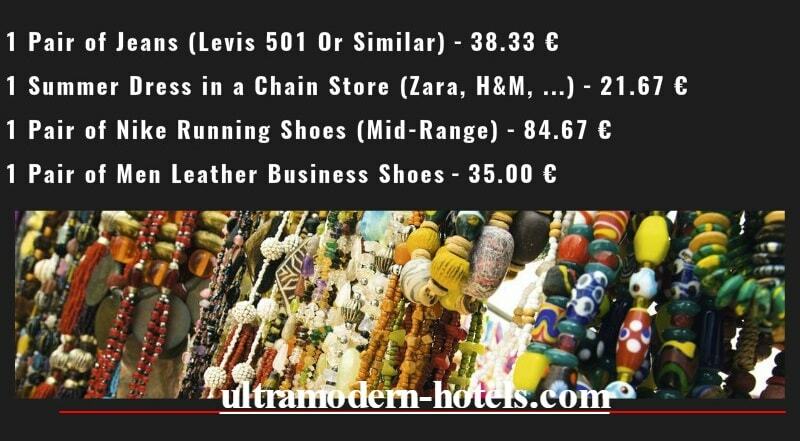 Ibiza is a picturesque island in the Mediterranean Sea, a popular resort among the youth. 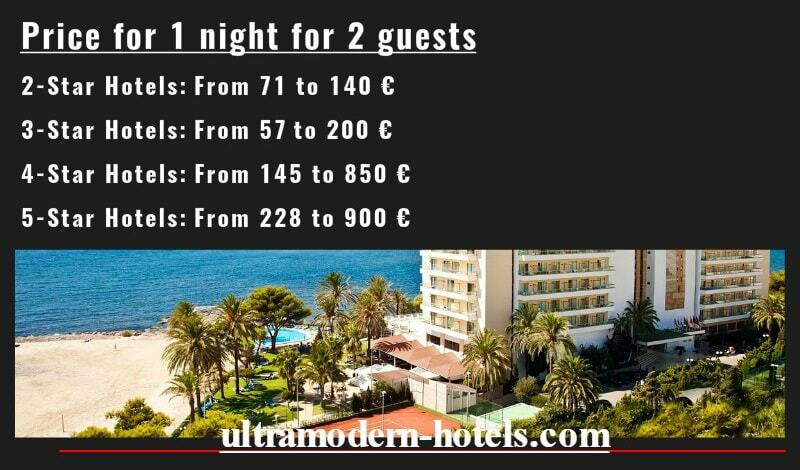 How much money to take on Ibiza? 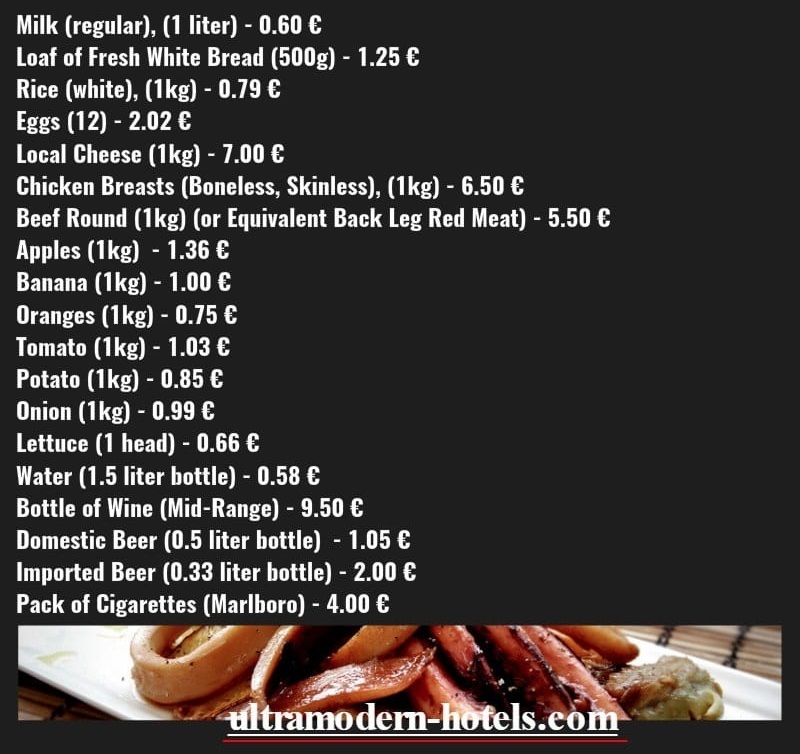 Food products (vegetables, fruits, meat, fish, cigarettes, alcohol). 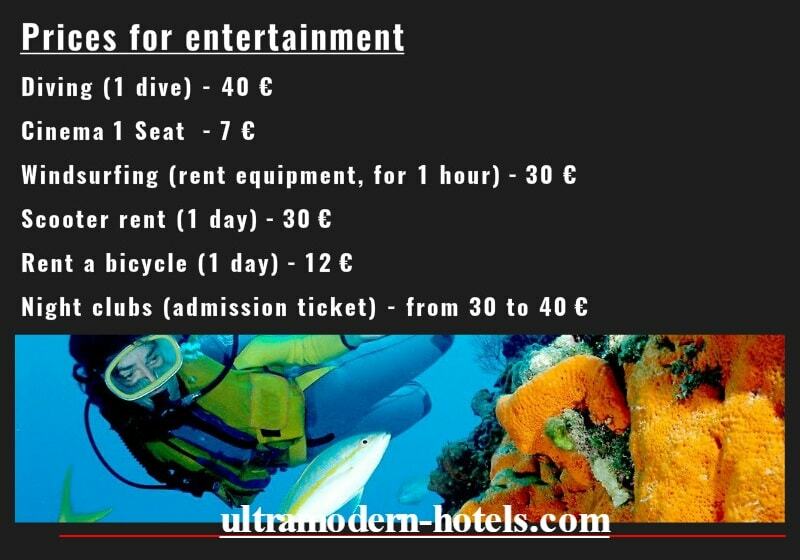 Entertainment (rent of cars, scooters, bicycles, tickets to night clubs, diving). 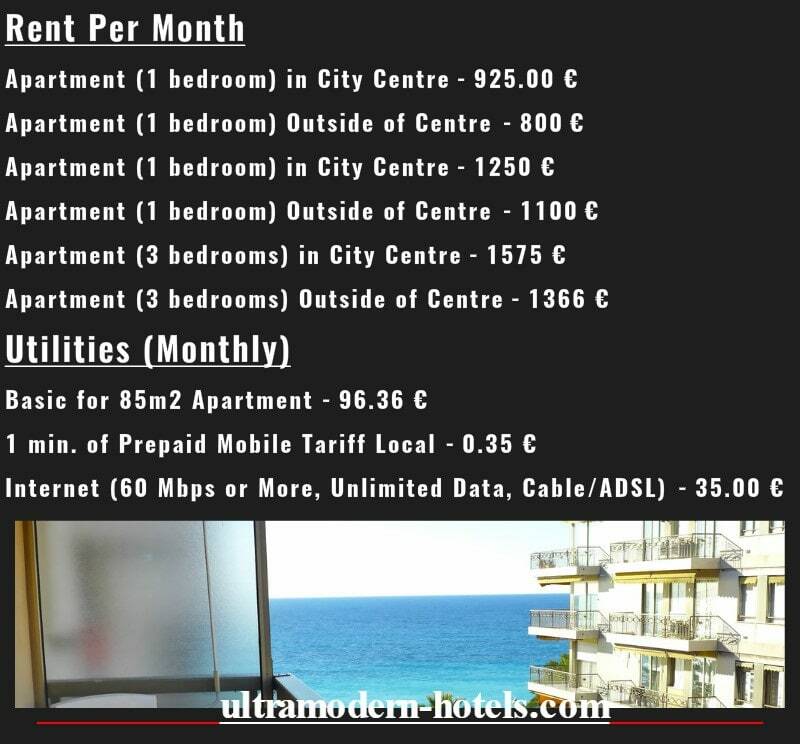 Prices for rental apartments and utilities. Public catering (restaurants, cafes and fast food). 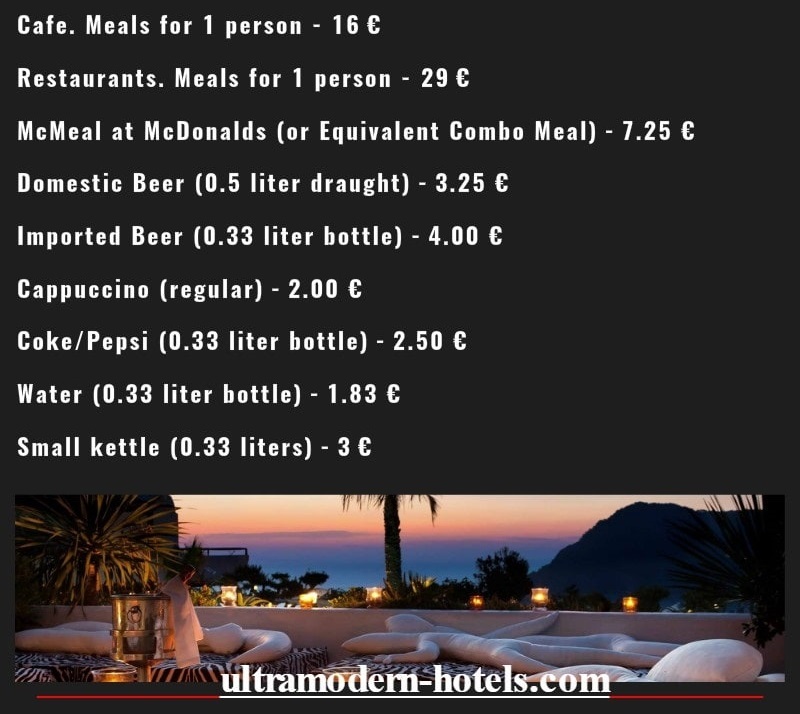 Public catering (three meals in ordinary cafe) – 672 € (336 € for 1 person). 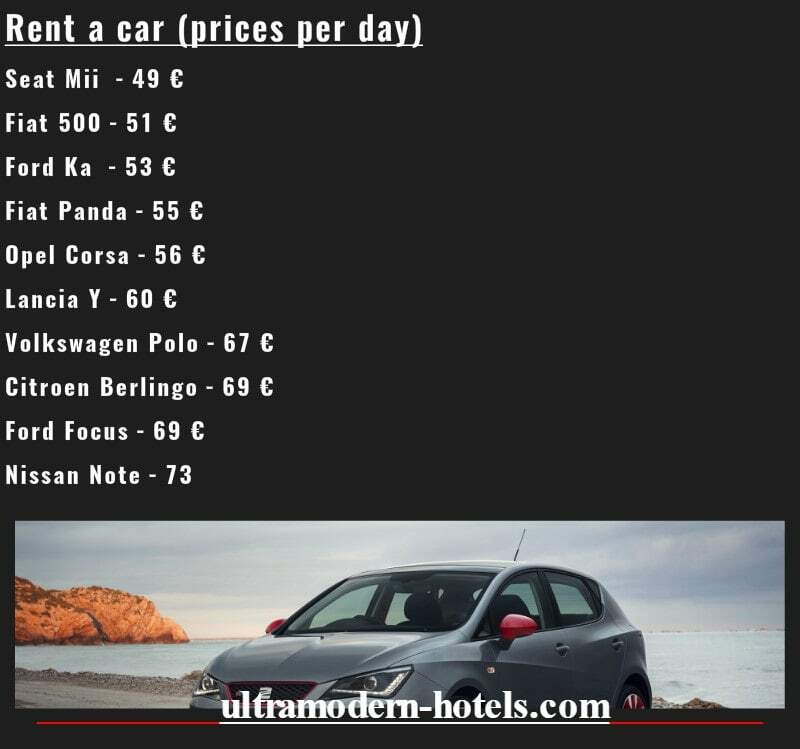 Rent a car (middle class) – 392 €. Entertainment (night clubs, shopping, diving, etc.) 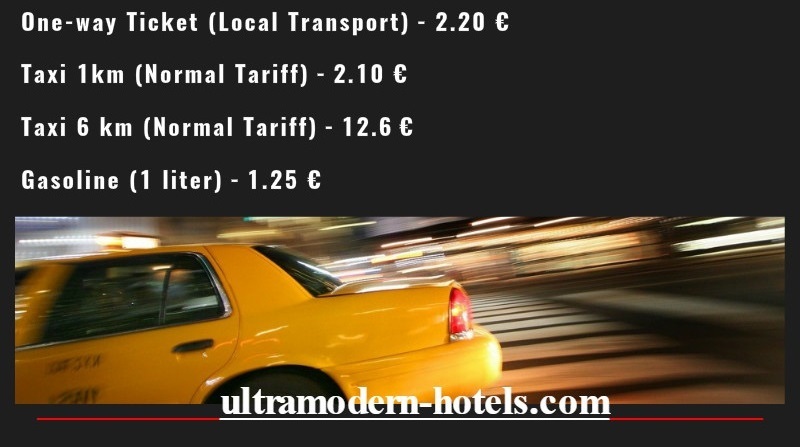 – 1000 € (500 € for 1 person).